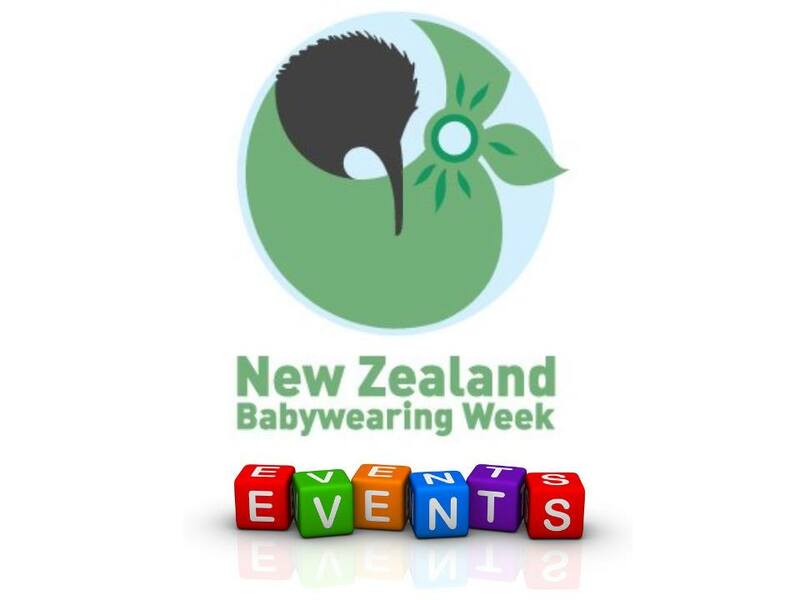 Saturday 1st of October marks the start of NZ Babywearing Week for 2016! Come join Kangatraining West Auckland at West Wave Pool, Henderson, for a dance or two. Gold coin donation for entry with all money going to Mother’s Helper. There will be guest instructors and also be spot prizes and raffle tickets for sale (raffle tickets are $5 each or 5 for $20). For more information, visit Kangacharityevents on Facebook. Meet us at Arataki visitor centre on Tuesday morning for a gentle babywearing/family bush walk, followed by a picnic morning tea [if you wish]. We’ll meet at 10am and aim to start walking at 10:30, then you’re free to join us for a picnic snack, check out the school holiday activities in the visitor centre, or explore another bush track if you’re game! Back up date will be Thursday 6 October in case of rain, updates will be posted on the Slingbabies Facebook page. MAMA Maternity & Babywearing with Jess are hosting a “giving day” for Little Sprouts and an event to celebrate New Zealand Babywearing Week!! Wednesday the 5th of October from 10.30am-12pm, Jess will be at MAMA Maternity with some of her library and the range of carriers in the MAMA shop. Jess is happy to help with any fit questions with a carrier you are struggling to get comfortable or for you to try some of her carriers or the ones from the MAMA shop, just bring along a donation for one of the amazing baby boxes that Little Sprouts bring together for families in need. It’s our favourite time of year again – New Zealand Babywearing Week! So we’re gonna switch up our regular coffee group! Let’s meet at Snakes and Ladders Park in Farm Cove at 10am. Kangatraining East Auckland will be holding a free Kanga class, then we will wander along the Rotary Walkway strutting our babywearing stuff! Then we’ll finish off at The Burbs Cafe for lunch/coffee/deliciousness. Invite your friends – let’s have a great time connecting our community. If you don’t have a carrier, or have a friend who doesn’t have one, don’t worry! Our library will be available for use on the day completely free of charge. Great opportunity to try something different too! There will be some cool prizes to give away, and some exclusive discount offers too, in case you needed extra incentive! Event details are also here on Facebook. October is upon us already, and that means New Zealand Babywearing Week!! Join us on Friday 07 October for our monthly meeting, we’ll do a demo of each of the different carrier types and you’ll be able to try on and hire from our extensive library. Because it’s Babywearing Week, we’ll also have some fabulous prizes to give away thanks to some of the fabulous local vendors. All welcome, partners, grandparents, mamas-to-be, support people. There is a fenced playground and some toys, older children also welcome. Join us at the eighth annual Auckland Sling Walk, proudly presented by My Natural Baby, celebrating New Zealand and International Babywearing Week. Meet us at Britomart (look for the My Natural Baby and New Zealand Babywearing Week banners, or failing that, the large gaggle of people with children in carriers…;) ). 11am Register and get your lucky number for the prize draws at the end. 11:20am You’ll want to be there to see, or join in with Kangatraining West and Central Auckland, as they kick of the Auckland Sling Walk with a couple of fabulous numbers. Then: We’ll walk the Viaduct finishing in Wynyard Quarter by the play area, where the kids can play and the adults can catch the prize draws and pat the pretty carriers around the place (my favourite part!). For more information visit the Auckland Sling Walk Facebook page. Our workshop falls outside Babywearing Week this year, for a change, but our October workshop, on the 14th, is still our 5th Birthday Celebration, and we will be celebrating with cake and giveaways as well…. Making Babywearing Week last that much longer! Contact Details: See our Facebook event for more details. Having an event to celebrate in Auckland that I haven’t mentioned?